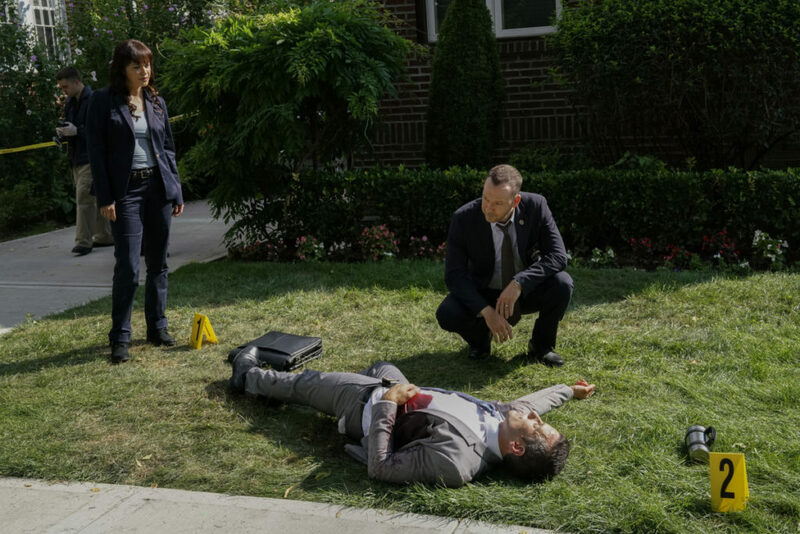 Description, preview and cast list for the Blue Bloods episode "Out of the Blue"
Danny and Baez work the case of a detective who was gunned down prior to testifying against a career criminal. Also, Frank personally investigates when Garrett is attacked by a SWAT team outside his home, and Erin brings in a confidential informant against Anthony’s wishes, on BLUE BLOODS, Friday, Oct. 20 (10:00-11:00 PM, ET/PT) on the CBS Television Network. Recurring cast appearing in the episode includes Tony Terraciano (Jack Reagan), Andrew Terraciano (Sean Reagan), Abigail Hawk (Abigail Baker), Gregory Jbara (Garrett Moore), Robert Clohessy (Lt. Gormley), and Steven R. Schirripa (Anthony Abetemarco). Additional gust stars include Kevin Corrigan (Jimmy Pearson), Kate Blumberg (Carol Hines), Jake Ventimiglia (Det. Patrick Odgen), Luke Lesko (Det. Arthur Hines), Nick Cordero (Victor Lugo), Stephen Pilkington (Carlo Tomassi), Rebecca Eichenberger (Cynthia Moore), Gary Lee Mahmoud (Herbert Talbott), Guy Lemonnier (Dale Quinn), Sam Simone (Taru Tech), Pallavi Sastry (Cameron), Anthony Mazza (SWAT), Spencer Murray (Adam Cassir), and Adam Feingold (Det. Bitterman).